Head lice is stressful! Our experienced lice removal technicians take the worry out of a lice diagnosis. Lice is inconvenient but doesn’t have to take over your life! Please read the options below to select the best removal options for your family. Cost will vary based on the treatment option. Our classic method of combing and manual nitpicking ensures you will be back in school the next day depending on individual school policy. We average an hour a head for shoulder length hair with moderate infestations. Please have hair brushed. Please remove all oil, products and any gel or soap from hair before treatment. A little dishwashing liquid mixed in your shampoo can remove most oil from hair. The Hair Whisperers work is guaranteed for 14 days. If you are checked and do not have lice on the second visit, we guarantee our work for 14 days from the second visit. If your child has been found to have lice during that time, we will come out for free. 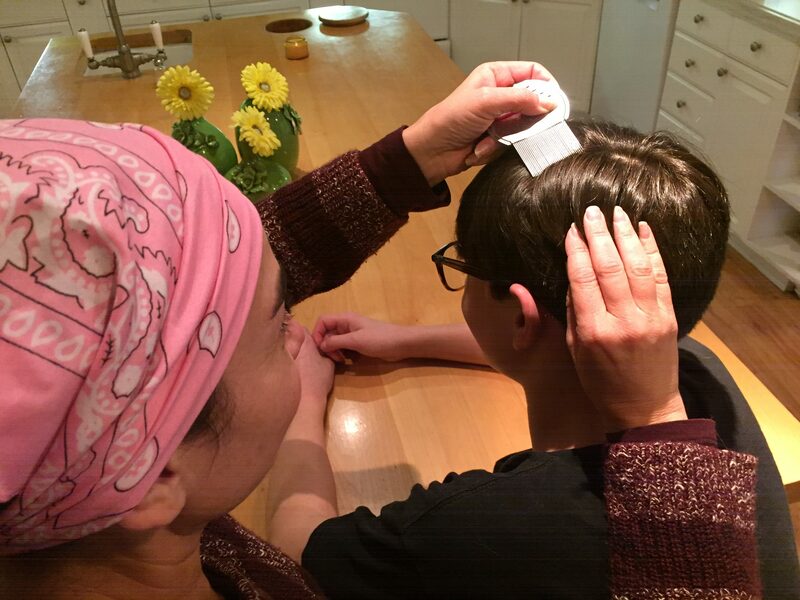 You must have proof of lice, such as the hair with the egg on it, or the bug in a bag.If you still have lice or eggs on the second visit you must make a follow up appointment, from which time the work will be guaranteed for 14 days. The classic method of combing is still the gold standard for lice removal. 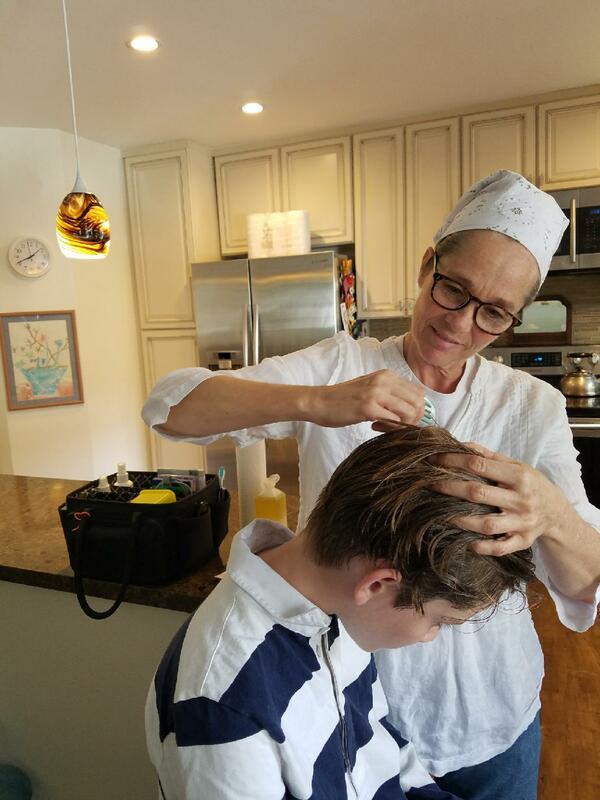 Using a patented oil, our technicians will comb through your child in a specific pattern with the only lice comb on the market that has grooves in the teeth for thorough lice and egg removal. We recommend a follow up visit and suggest 5 to 10 minutes of combing a day between visits. We average an hour a head for shoulder length hair with moderate infestations. For those of you who don’t want to worry about a recheck, please ask about our peace of mind appointment! The National Pediculosis Association stated that the mechanical (manual) removal is the safest and most effective way to remove nits and lice. Over-the-counter shampoos containing peremthrin may kill live lice, but not always. Strains of peremthrin-resistant lice are becoming more and more common. Children under the age of two, people with asthma, allergies, seizures, pregnant and breastfeeding women should consult their physician before applying these shampoos to treat lice. These shampoos do not kill eggs under the age of four days, so manual removal is still the most effective lice treatment. According to Harold George Scott, Ph.D., Board Certified Entomologist, "Resistance is a reflection of populations undergoing selection to produce survival of the fittest. Resistance does not occur all at once. It develops over time in louse populations, so, in any particular location, both resistant and nonresistant populations may exist. This can cause much confusion, because pediculicides that work one day fail to work the next." Therefore, relying on pediculicides alone may fail to eliminate head lice. We strive to offer our customers safe, non-toxic lice treatment options to get rid of both lice and nits without the use of potentially harmful over-the-counter or prescription products. Call (800) 319-8751 to get rid of lice today!